The Swiss franc behaved similarly to the Japanese yen today, rising intraday on risk aversion, but retreating versus its major peers later. 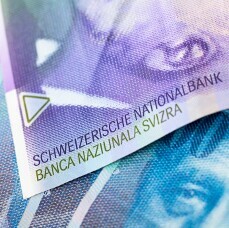 Against commodity currencies, though, the Swissie retained its gains. The increase of Switzerland’s unemployment rate did not bother the currency too much. The State Secretariat for Economic Affairs reported that the unemployment rate rose to 2.8% in January from 2.7% in December, not adjusted for seasonal variations. That was the highest level since March 2018. Seasonally adjusted, the unemployment rate remained at 2.4%, unchanged from the previous month and matching expectations. USD/CHF slipped from 1.0021 to 1.0014 as of 12:21 GMT today. EUR/CHF traded at 1.1356 after opening at 1.1363 and falling to the session low of 1.1340. AUD/CHF declined from 0.7109 to 0.7090.